So this blog entry is a big one for me. This blog entry covers the tape that started this whole project. The John Minnis Big Bone Band was a 21-piece ensemble headquartered in North Philadelphia. They were headed up by its namesake, John Minnis, the trombone player and vocalist. Among their ranks were some of the finest studio and touring musicians of Philadelphia, many still active today. And guess what radio station interviewed them in 1977? Back in the winter, I found this tape in a dusty box with many, many others. Some of my findings on the Black Experience programs in the ’70s have been covered in Part 1 and Part 2. But this one is definitely among the crown jewels of KDU. The music they play from the band’s then-newly-released album, Classic-I Live, is top-notch. The tape’s in perfect shape. The interview…is pretty funny, to be honest. The hostess and musicians cover lots of info, with plenty of the goofy awkwardness endemic to college radio. Based on the remark that John Minnis’ birthday, May 22nd, was a Sunday coming up, I can (pretty confidently?) date the interview to Spring 1977. We might be dealing with some unreliable narrators here: given that the record is supposed to have been released in 1979 (and how everyone on the tape seems to be feelin’ some kind of way), this date seems unlikely, but who knows. I’ve probably listened to this interview fifty times. There was a period in the winter where I would listen to it on the way to class every morning. And while its 35 minutes are jam-packed with, well, jams, I knew I needed to track the full record down. According to the interview, if I was around in 1977, I could have picked it up at any of ten record stores – the long-defunct 3rd St. Jazz and King James Record Shop among them. Trying to find the record: I put out feelers to all my record-collecting friends, with no luck. Apparently it was reissued in Japan in the mid-1990s, but a friend’s travels in Japan failed to yield anything other than directions to the “big band” sections of numerous record stores. Blast. I ended up finding a copy online, and paying a stupid amount of money. But I got it. Score. The record itself has some great rough edges. The decidedly mid-fi production value of the live cuts leaves some flubbed notes out to dry. But – after all – this is a big band! The idea of 21 musicians (count ’em – 21!) churning out grooves like this live on stage is positively electrifying. I cite the extended percussion workout of “What Can You Do” (evident at the 11:30 mark in the interview) as a prime example. They just keep going. And the studio cuts are genuine rare classics. There are covers of Stevie Wonder and Marvin Gaye tunes in there (WHAT?!?) – someone’s bound to sample this one of these days. If you ever see this record while digging, grab it…. PS: This record was also mastered by Frank Virtue – a mentor of Gamble & Huff, and a prolific human fountain of Philadelphia independent music. And, as it were, garage rock…..
PPS: This May 22nd, 2016 is also a Sunday, as it were. If you’re reading this – happy birthday, John. One of the most fun parts of this project is the alumni of WKDU I’ve had the pleasure of talking to. In gathering information, they’ve been invaluable. So first thing, I’d like to thank everyone I’ve spoken with so far: Kevin Brown, Johnpaul Golaski, Mel “Average Guy” Holmes, and Al Knight. A few months ago, I discovered a long-overlooked box of reel-to-reel tapes in the studio. After blowing my nose and clearing the dust, I grabbed a few and headed over to a friend’s place to hear them. Thank heavens for friends with reel-to-reel decks. Every other tape we tried had already completely disintegrated into a pile of dust and polymer goo. When tapes are old and dying and you play them, they squeal in pain. The dried out oxides that make up the tape scrape across all the parts of the tape machine, peeling and crumbling everywhere. It’s pretty much the worst thing ever. But after wading through tape after tape of hiss and warble, I found some true gold. And it was in pretty nice shape, too. This is a portion of a live tape recorded at the Kim Graves nightclub on December 29th, 1978. 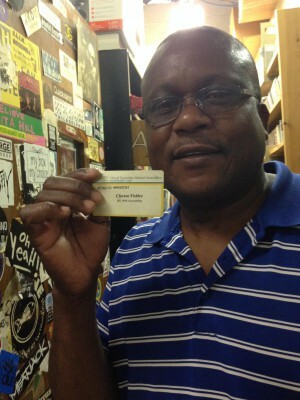 The Black Experience crew was there to record a band called The Production, a local group headed by Curt Campbell. The show was to be aired later on Kevin Rice’s show. They hit record when the house band was warming up…. Now, the plot thickens: Since hearing this tape, I’ve determined that The Black Experience on WKDU was the catch-all name for a group of DJs that ruled the weekend airwaves from around 1972-1981. Jazz, funk, disco, and other smooth styles were the focus. Little information has survived from that era, but as I talked to alumni and others, it’s clear that there was a lot of cool stuff going on. Patience, college radio historians: I promise there’ll be more on this in the near future. A couple Friday mornings back, I went to the station. When I got there, this was leaned up against the door…. Inside were about 50 records. All were tagged WKDU circa 1971-1981. I can only speculate that maybe a former DJ, in an act of redemption, decided to give them back after “borrowing” them. At KDU, there aren’t a lot of rules, but one stands out: NO STEALING. Says so on the door, probably written in DJ blood. It’s interesting that these records made it back, but even more interesting that they were left on the outside. It implies that whoever gave them back is far enough removed from the station that they couldn’t enter. Otherwise, they could’ve put the records back themselves, or hidden them somewhere within the station’s many nooks and crannies. The plot thickens…. So I started looking through the records, because that’s what I do when a random bin of records appears on my doorstep. Here are some of my favorites from the stack. Oh, and in case you’re curious: Yes, I did put them back on the shelf, where they belong. Fishley, Danny Roots, and DJ Wayne, noting that the master control panel on the door has Rastafari lives, handwritten on it. If you listen to WKDU regularly, you know that we don’t take reggae lightly – we currently have eight reggae shows on our schedule for the summer term. The only way that kind of support for one specific genre can exist is through cultivating a grassroots and dedicated listener base over many years. The reggae marathon, which takes place every Memorial Day weekend, was instrumental in forming such a strong reggae listener base and connection with the Caribbean community in West Philly. Now in its 31st year, the reggae marathon is still going strong, as over 30 DJ’s from West Philly and beyond came out and fundraised in support of WKDU and the Red Cross Jamaica to be a part of the 100+ hour marathon. On Saturday afternoon of the marathon, I was able to catch up with Clinton Fishley (aka Sweet Daddy Fish) to chat about the history of the event. Fishley has been involved with the marathon for 29 of its 31 years, and is heavily entrenched in the reggae scenes in West Philly and Germantown. The reggae marathon started in 1983, when Hopeton Brown, General Manager of the station at the time, gathered DJ’s from Boston, Virginia, New York, Maryland, and beyond to connect through good reggae music and a charitable cause. The success of initial marathons was influential in establishing a large and dedicated listener base that has continued on today, where we still have numerous streams from Jamaican IP addresses each week. I phoned up my friend Duprex Snape of Jamcity Rock, who I go back to back with on Thursday nights, to get the scoop as to how reggae became such a big thing at the station. Duprex has had his show, Jamcity Rock, on Thursdays from 6-9 PM for 14 years, and keeps a musical focus on the local scene and undisputed classics in the genre. One of the artists Duprex has supported on his show, who was also in the studio on Saturday, was Germantown artist Danny Roots. Roots was born in Jamaica, grew up in East Flatbush Brooklyn, and made his way to Philly some years ago. He opened up on his musical upbringing to me, and recalled buying his first record, Dr. No Go, in Jamaica for 13 shillings and 6 pence. 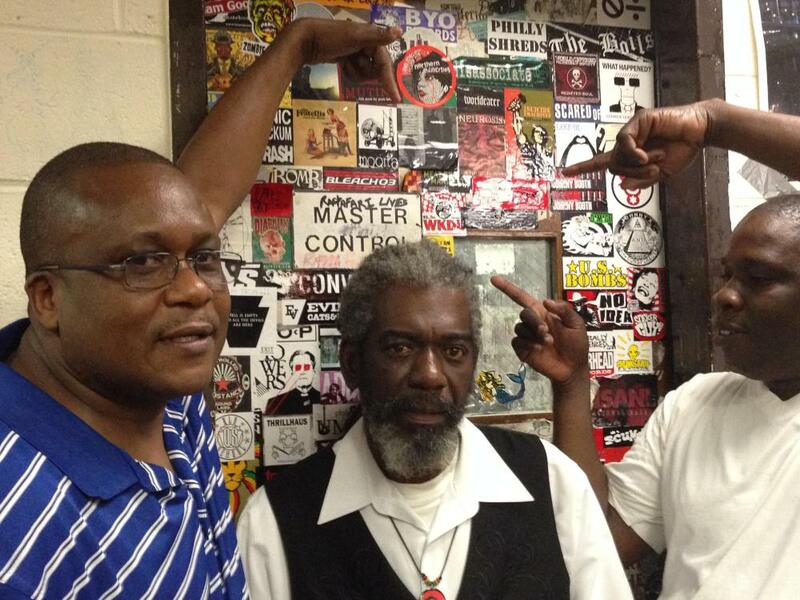 This short blog post doesn’t come close to doing justice to the amazing work that these DJ’s have put in connecting the Caribbean community of West Philly through the thousands of hours they’ve logged on-air. If you’re ever looking to learn more about the genre, check out our summer schedule, tune into a reggae show, and call our studio to send BIGUPS to our amazing selectors.